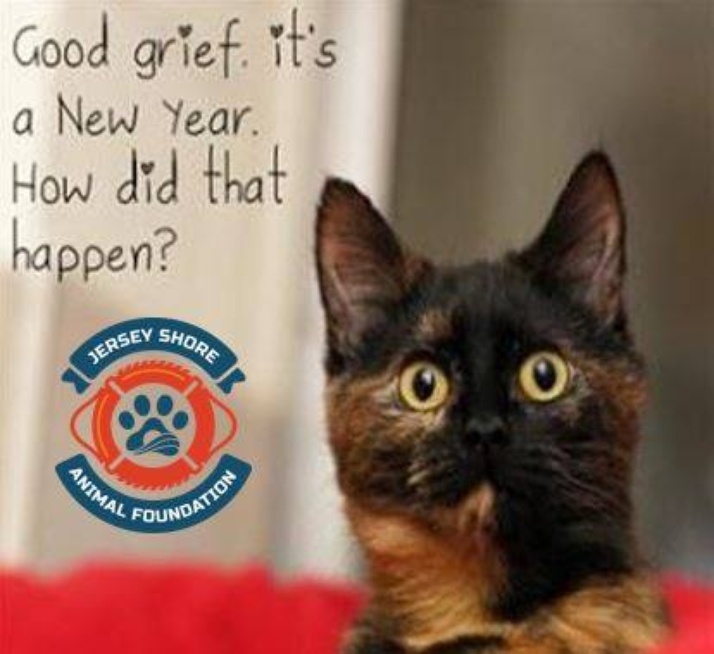 Over 700 animals were assisted by Jersey Shore Animal Foundation this year! Close to 400 animals were rescued from shelters or surrendered directly to us, 200+ community cats were TNR'd and the Cat Spays Days we helped to organize/sponsor this year seemed to reach people who may have otherwise not spayed/neutered their pets. All of our efforts are in an attempt to lessen the numbers of unwanted pets in overcrowded shelters. We have also financially assisted several animals who needed medical care this year. It's never easy choosing who we can help/save, but we do our best to help as many as we can. Countless volunteer hours contributed to those efforts. Volunteers, supporters and our adopters make what we do possible. Without YOU, we cannot help them! THANK YOU for a terrific year! THANK YOU from the 700+ animals who have no voice. We wish you a wonderful New Year and we look forward to helping so many more in 2018!!! And we look forward to proving it in the new year.